One of the most frequently asked questions of us, is whether it’s ok to use solid timber in the bathroom, kitchen or in areas with lots of moisture. The answer is, yes. However you do need to be careful with the timber you use and the finish you choose. Many timbers, such as Oak, don’t work well at all with water and it seems whatever finish you use, water will eventually cause damage. 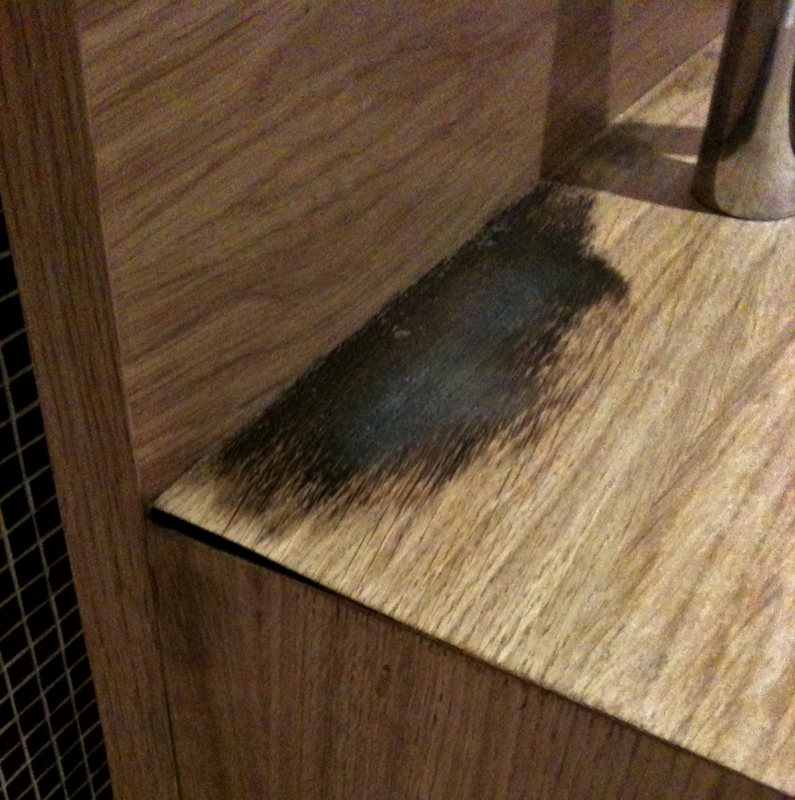 Oak turns black very quickly and other timbers warp and split really badly. The correct timber to use, for this sort of work, are those of an oily nature (some timbers produce their own oils and naturally repel water), I would recommend Teak (sustainable plantation Teak is available) as this was traditionally used on ships so can take water. Iroko is a good alternative and is much cheaper and more widely available. The finish to match with these timbers is either a Teak oil or Danish oil, which will seal the oil of the wood in and keep the water out. The oil must be built up in a number of layers (as per product instruction). This will give a good water resistant finish and will keep mould and moisture out. The oil will dry hard, so won’t feel oily, as one might imagine. The real key to this kind of finish though, is maintenance; the timber, through general wear, or as it moves along the joints, will need regular oiling (around every 6 months, depending on use). This will not only keep the moisture out but will increase the lustre of the finish, making the timber look even better. NB. My preference is for solid wood but there is an alternative. If the price is too high or solid timber is not practical for the project, you can use a good quality marine ply, this is water resistant and can be finished with something like Yacht Varnish or Lacquer. This ply, however, comes in boards that have a bare ply edge, so if you choose this option, you may want to have a pre-built worktop/unit, which would have a solid nosing to the front edge.